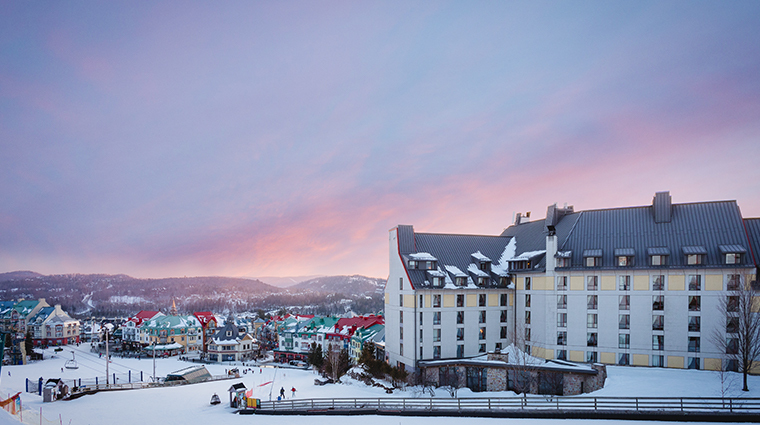 Nestled at the foot of Canada’s famous Tremblant mountain, Fairmont Tremblant offers one of the best locations in this four-destination ski town. The oldest and largest luxury hotel in the area, it underwent a multimillion-dollar renovation in 2017 to celebrate its 20th anniversary. 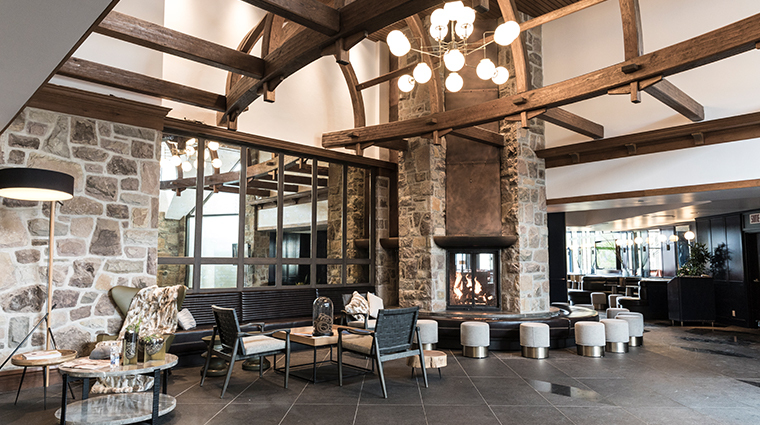 The lobbies, restaurants and public spaces were transformed from a rustic aesthetic to a modern mountain motif that incorporates elements of Quebec culture, providing a charming countryside escape. 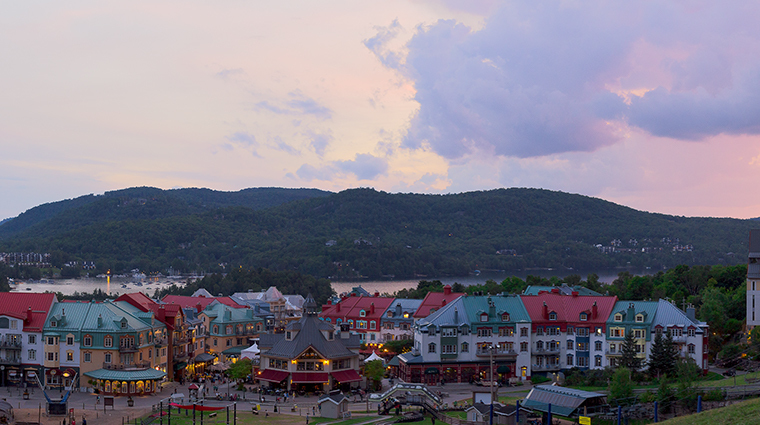 A popular destination for Montrealers, Mont-Tremblant has been internationally recognized for its skiing, hiking and gorgeous spas. 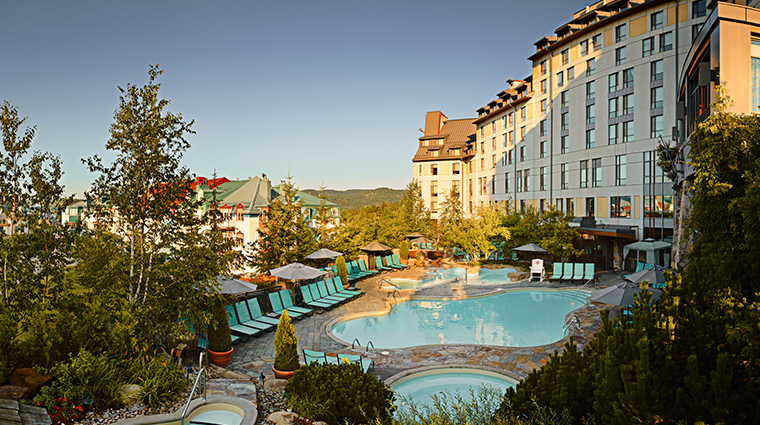 Fairmont Tremblant wraps all of these aspects together and pairs it with attentive service for a memorable vacation in one of the country’s most picturesque destinations. 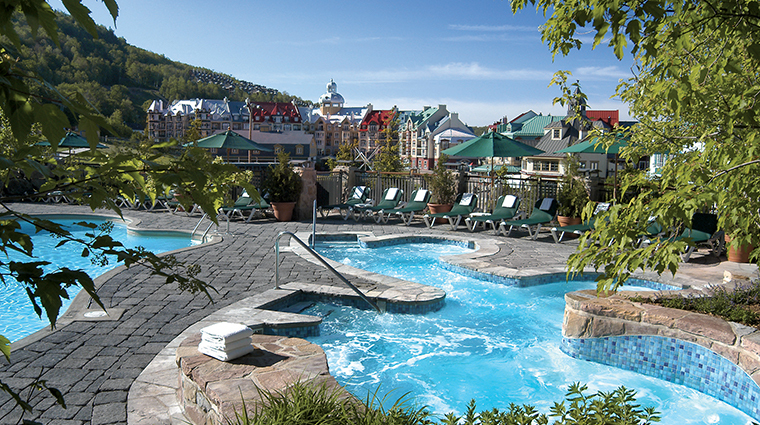 Fairmont Tremblant is the only ski-in, ski-out hotel in the resort town. A ski valet service allows you to keep your equipment in a heated area on the ground level so all you have to do it grab your gear and head out the back exit. The hotel’s four outdoor pools are open year-round for ultimate relaxation. 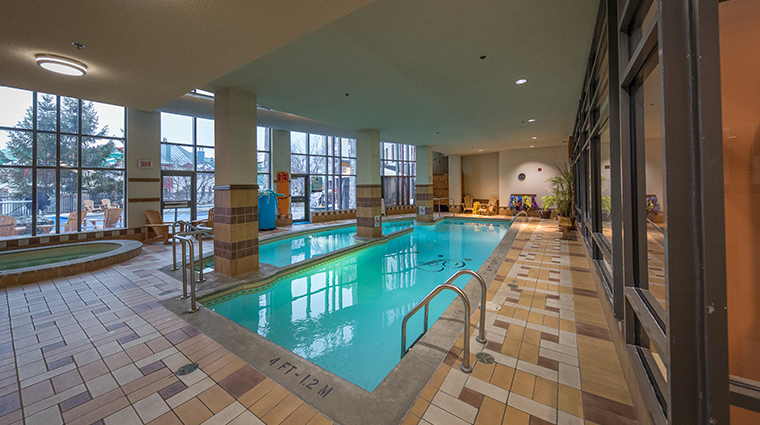 Plunge into the heated pool, Nordic bath, whirlpool or the therapeutic whirlpool bath no matter how frosty it gets — there is also a heated indoor pool, a sauna and steam baths. The Tremblant pedestrian village is mere footsteps away. 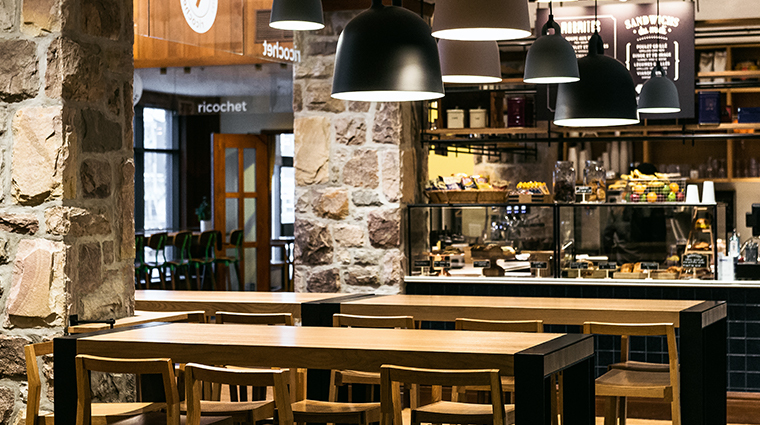 Venture out to grab a BeaverTail (a flat Canadian doughnut with an array of toppings), stock up on outdoor gear, dine on raclette cheese and enjoy the live music often performed in the middle of town. To unwind after a day on the slopes, retreat to Moment Spa. 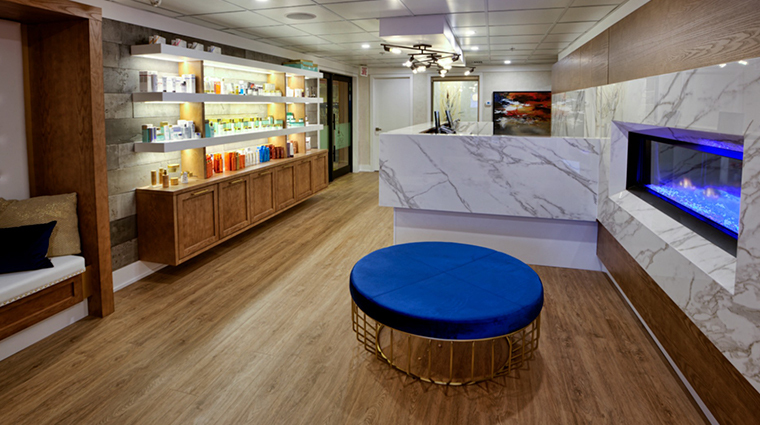 The serene space has 15 treatment rooms, a vast beauty salon and a relaxation room with two NeuroSpa therapeutic chairs to help soothe those sore muscles. 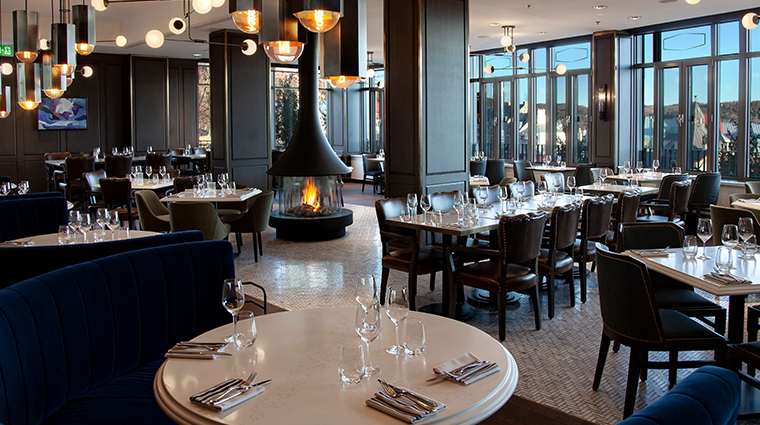 Choux Gras is the hotel’s signature Montreal-style brasserie with a modern twist. 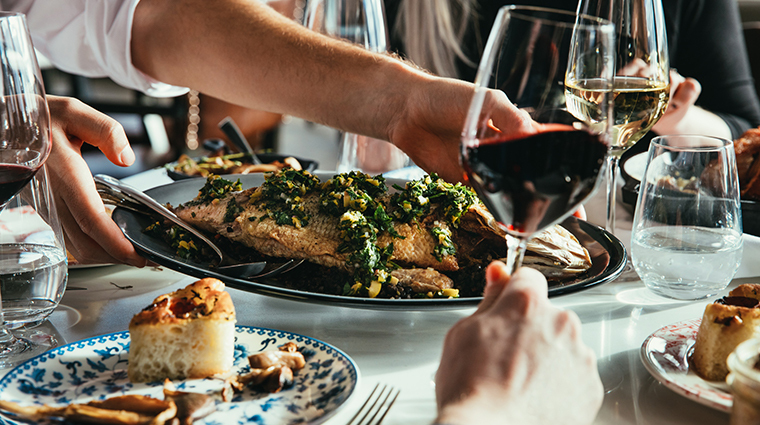 Head chef Yves-Benoit St-Cyr and his team focus on shared dishes, such as the seafood tower and whole roasted rack of lamb to promote a feeling of camaraderie. Tremblant has its own airport (Mont-Tremblant International Airport), but the larger Montreal-Pierre Elliott Trudeau International Airport is about 1.5 hours away. There are scheduled shuttle services from the Tremblant airport (year-round) and Montreal airport (winter season), but you can also hire private transportation through the Tremblant hotel or even arrive by helicopter. Surrounded by nature, Fairmont Tremblant takes the AccorHotels Planet 21 program seriously to reduce its impact on the environment. 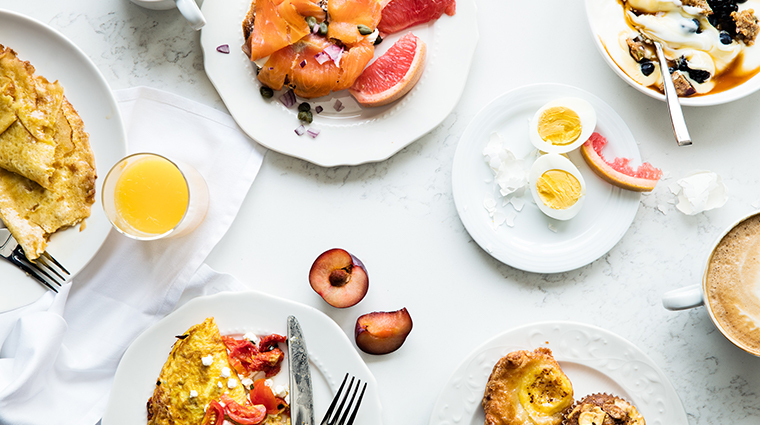 This includes behind-the-scenes initiatives, like composting throughout all dining facilities, as well as delicious strategies, such as sourcing local ingredients. 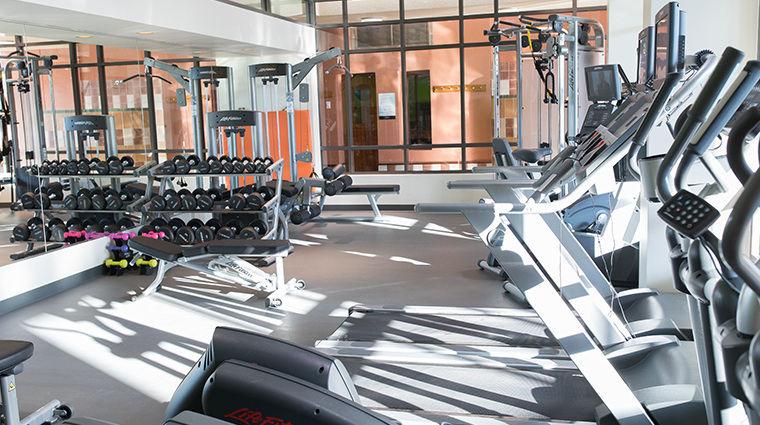 Fairmont Tremblant provides complimentary organized activities to enhance your stay. On Saturdays there are morning yoga sessions (mat provided) and campfire nights with a wood fire pit, while Sundays have guided hikes, which are adjusted to the level of the group (and include snacks). Axe Lounge Bar is a cozy, living-room-style space that appeals to guests and locals alike. 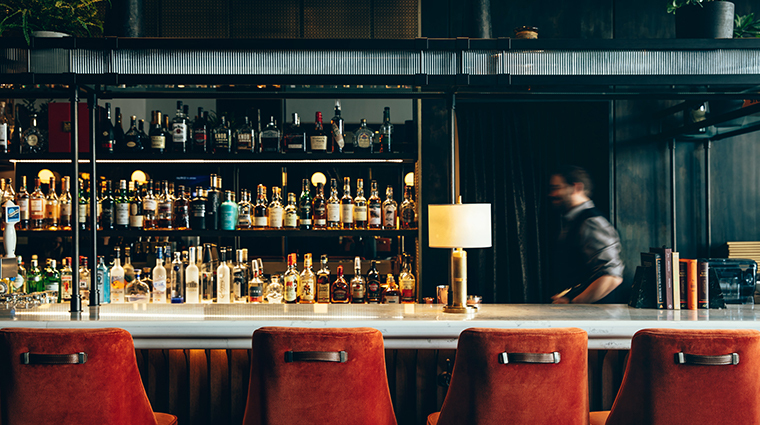 Choose from dozens of scotches, have a professional mixologist create a specialty cocktail like the margarita-inspired L’Après Ski or join the Thursday and Friday tartare and oyster happy hours. 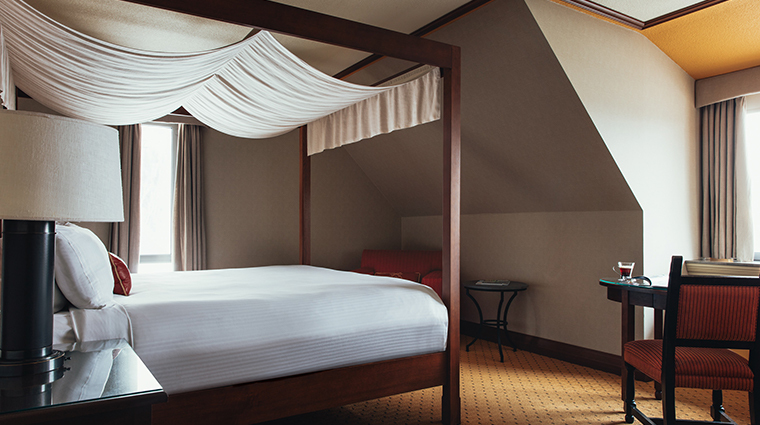 The hotel’s 314 neutral-hued accommodations have a sophisticated, modernized interior with a touch of rustic-chic. There are two particularly interesting room views: the lively pedestrian village (an area of shops, restaurants and live music) or the lake surrounded by a lush forest. If you’re visiting in the fall, request a lake-view room to enjoy the foliage. Fairmont Gold rooms are undergoing their own transformation but will continue to provide exceptional service once reopened. Guests staying in these accommodations have their own private concierge on the seventh floor as well as access to an exclusive lounge. Mont Tremblant offers skiers 96 trails on four distinct slopes for all skill levels. With more than 1,100 snow guns as part of a sophisticated snowmaking system, the slopes will never lack fresh powder. 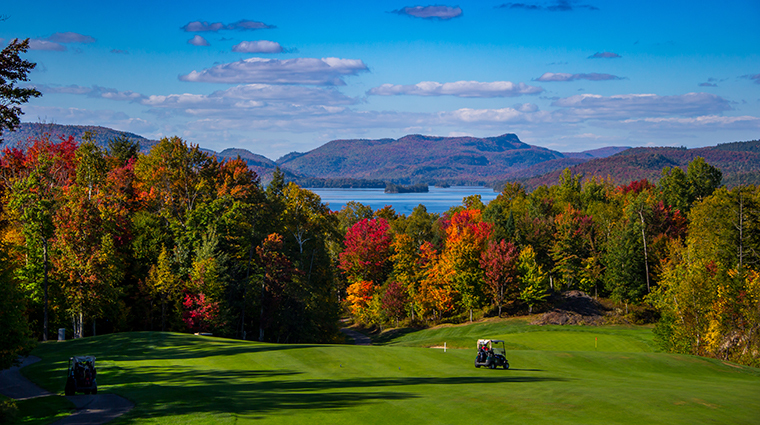 On the way to Fairmont Tremblant, you will catch a glimpse of one of three gorgeous nearby golf courses. 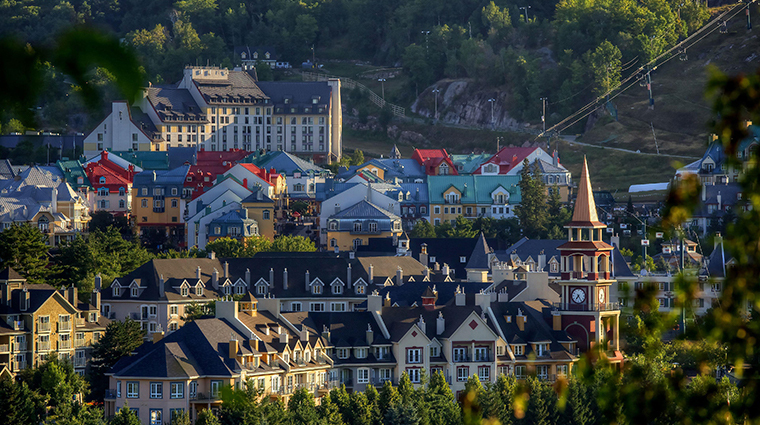 While the closest is only a 15-minute walk away, the luxury hotel provides shuttles to and from Mont Tremblant’s two courses, Le Géantand Le Diable. There is even a golf valet who can transport your gear for the ultimate easygoing tee-off. 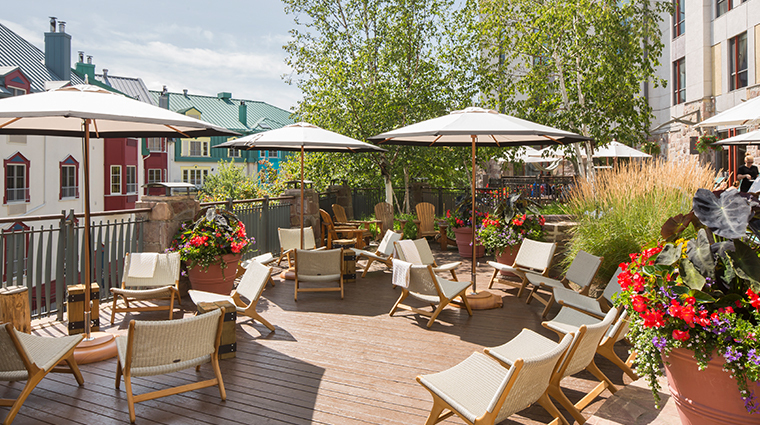 The nearby Scandinave Spa — a local favorite — offers massages and other treatments but is best known for hydrotherapy in traditional Scandinavian baths. 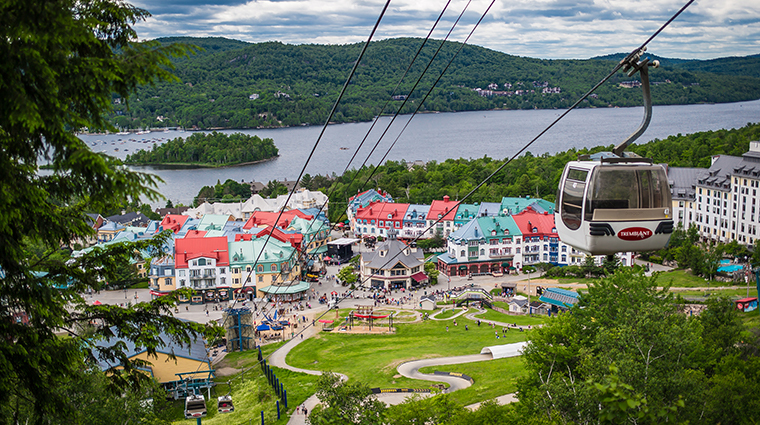 The Casino de Mont-Tremblant can be accessed by free shuttle or by taking the express gondola. There are more than 400 slot machines, a wide selection of tables and electronic games, as well as tournaments and a high-rollers section. 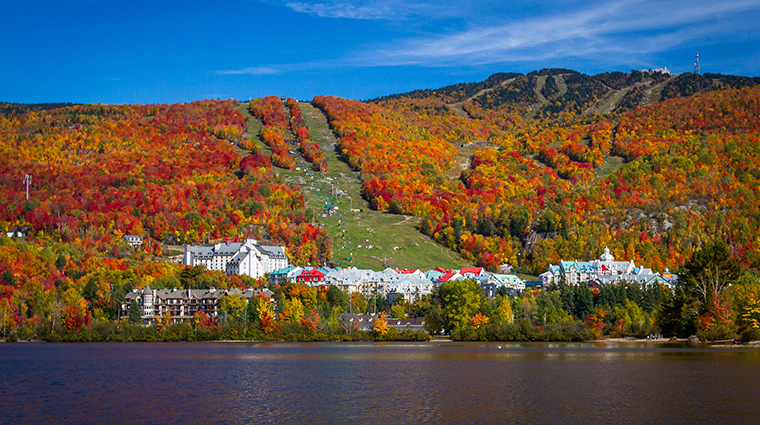 There are countless outdoor activities around Tremblant throughout all four seasons. Warmer months include hiking and cycling, zip lining and watersports on the lake, while colder months offer skating, snowshoeing, cross-country skiing and mountainside tubing.